My thoughts turned to Thanksgiving when I was developing this recipe. The bread stuffing my Mom made at Thanksgiving starts with sautéing onions, celery and apples. It’s an intoxicating aroma and an especially evocative one for me. That’s how the apples came to be in the meatloaf. Sage is also an herb I associate with Thanksgiving and it seemed logical to add it to the recipe. 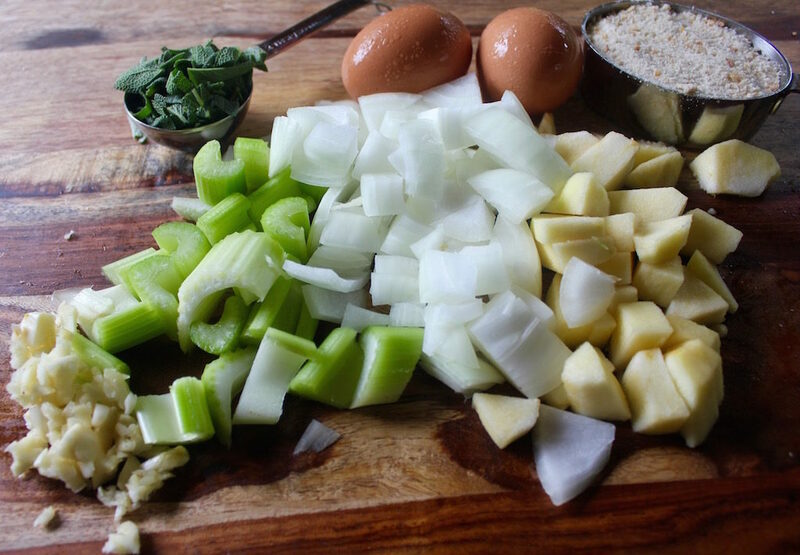 Shred the aromatics, onion, celery, apples and garlic, on a grater or in a food processor and combine into the meatloaf mix. No sautéeing necessary. Finely chopped vegetables save time and add lots of flavor. Meatloaf can be made ahead of time and left in the refrigerator overnight. Even better, make up two or three in one batch, wrap tightly and freeze. 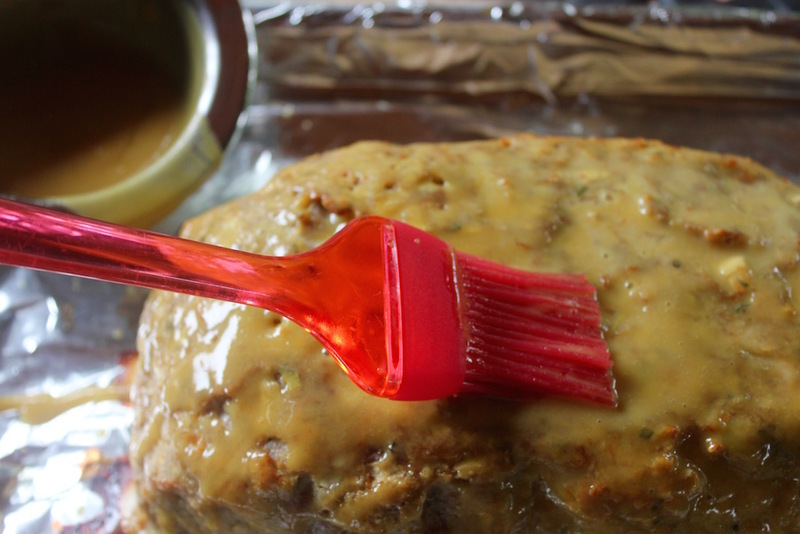 Unwrap and the meatloaf goes directly to the preheated oven from the freezer. Plan an extra 10-15 minutes cooking time, depending on the size of the loaf. Free form the loaf and bake on a lined baking sheet for crispy edges. The honey mustard glaze complements both the turkey and the apples. With a little experimentation, I like a 2:1 ratio of mustard to honey. A little kick and not too sweet, use a mild-flavored honey such as clover. The glaze goes on the meatloaf about ten minutes before it’s done. Aim for an internal temperature of around 155 degrees F.
brush the glaze over the top and sides. 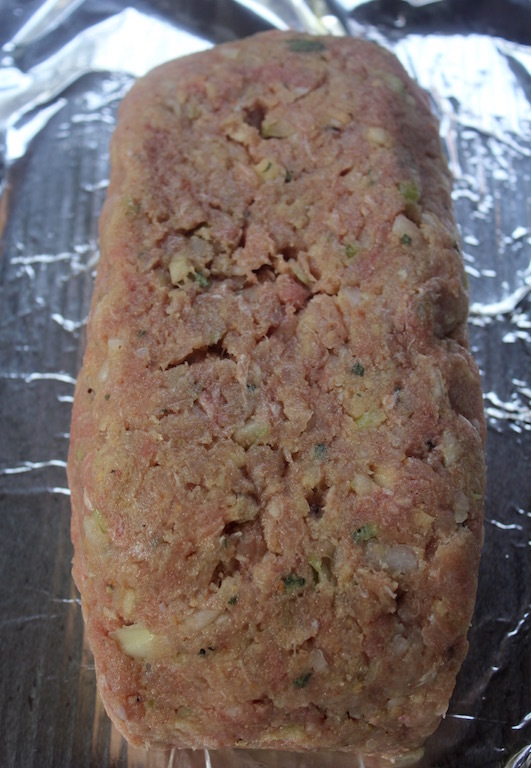 Let the meatloaf rest 15 minutes before slicing; it needs time to set for even slicing. In keeping with the Thanksgiving idea, pop some sweet potatoes in the oven to bake along side the meatloaf and finish off the meal with some steamed green beans or Brussels sprouts, either of which can be drizzled with any leftover honey mustard glaze. If you have any leftovers, meatloaf makes a great sandwich! Meatloaf can be made ahead of time and left in the refrigerator overnight. Even better, make up two or three in one batch, wrap tightly and freeze. 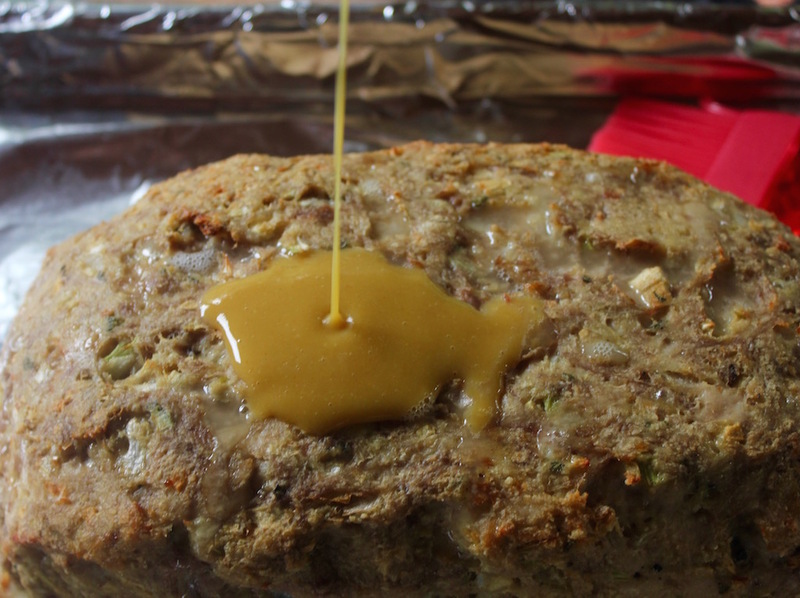 The meatloaf goes directly to the preheated oven from the freezer. Plan an extra 10-15 minutes cooking time depending on the size of the loaf. Preheat the oven to 400 degrees F and line and lightly grease a rimmed baking sheet with foil. 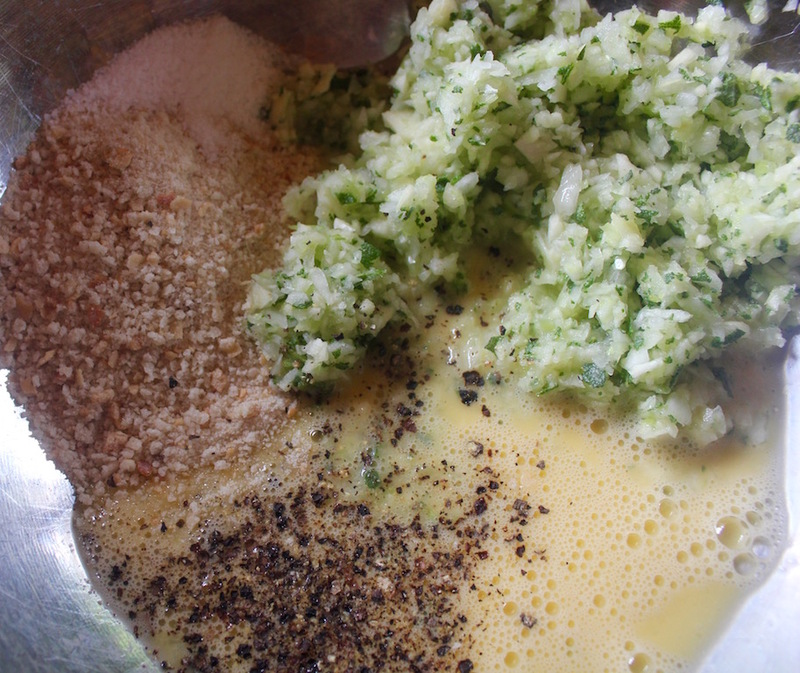 Place the onion, celery, apple, sage and garlic in the base of a food processor and pulse to a fine chop. Stop and scrape the sides once or twice to get relatively even pieces. Crack the egg into a large mixing bowl and beat until frothy. Stir in the chopped vegetables, breadcrumbs, salt and pepper. Add the turkey and knead to incorporate all the ingredients. Turn out on the lined baking sheet and form into a loaf. Bake in the preheated oven for 15 minutes, lower the heat to 300 degrees F and continue cooking for 25 minutes. 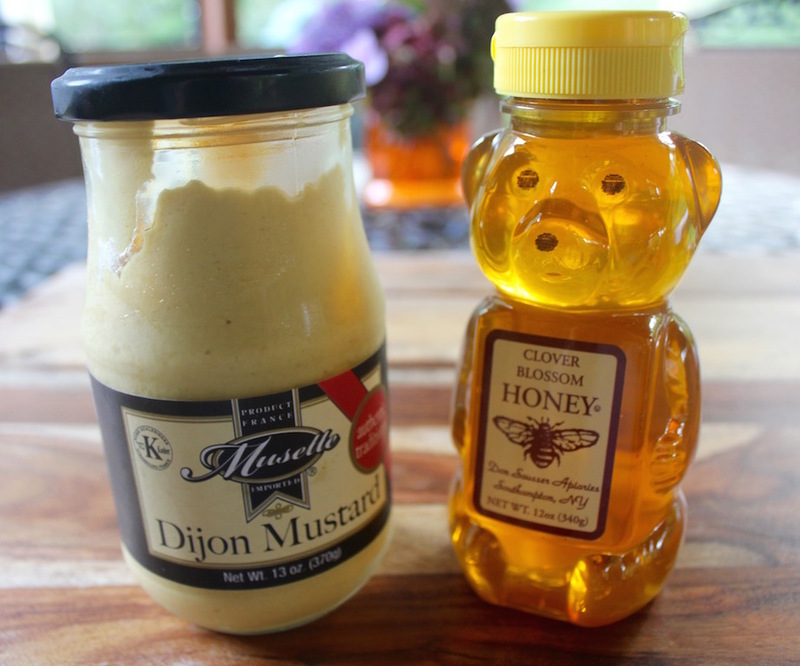 Whisk together the mustard and honey. Remove the meatloaf and generously baste with one-half of the glaze and cook for another ten minutes. Check the turkey for a minimum internal temperature of 165 degrees F.
Let the meatloaf sit at least 10 minutes before slicing. Drizzle with leftover glaze or serve on the side.